2016. Produced by Steve Bailey/With Brio. 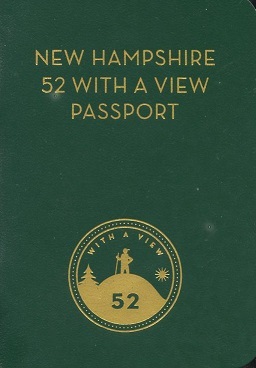 A pocket-sized, passport-style booklet that hikers can use to chart their progress as they scale the peaks of the New Hampshire 52 With a View peakbagging mountain list. Complements the best-selling 4000-Footer passport book pubished in 2015. Bound in a handsome dark green leatherette. 56 ppp.